Irizake is a very versatile seasoning. I'm loving my homemade irizake and have been using in different dishes. 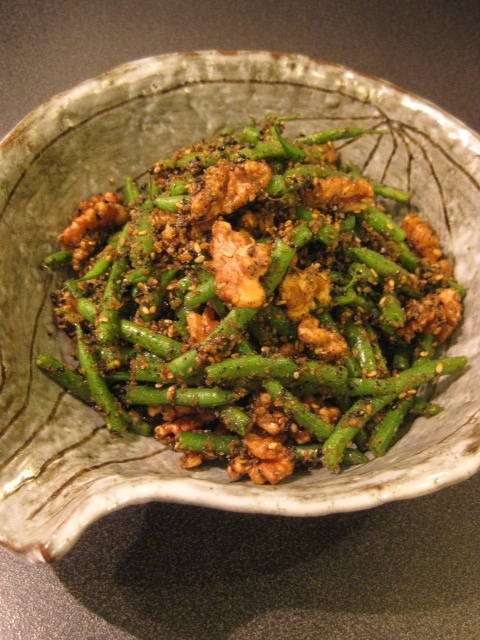 For my Haricot Vert Goma-ae (tossed in ground sasame paste), instead of using cooked sake, I used Irizake for making the paste. Here's how I make it. 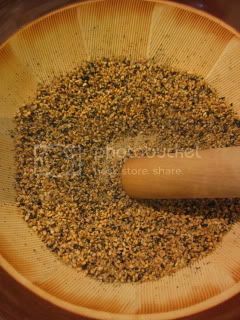 Roast and ground 3T white sesame seeds and 1.5T black sesame seeds together. 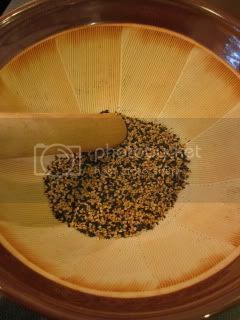 Add 1.5T Irizake, 1.5T soy sauce, 1T raw brown sugar, and 2tsps karashi (Japanese mustard) and mix well into paste. 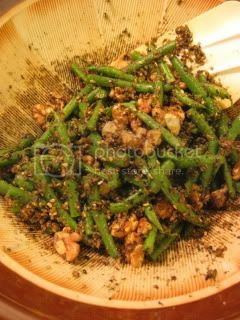 Add 6 oz steamed (or blanched) haricot vert and 2 oz roasted walnuts and toss in the paste. The flavor got deeper with the irizake and it was very nice! This is another appetizer dish, seasoned with Irizake. This one is even simpler. 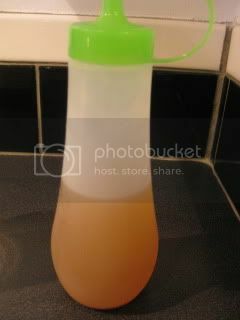 To make the sauce, I simply combined 1T of each irizake and olive oil. 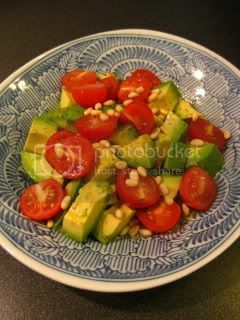 I plated 1 avocado (cut into cubes), 8 cherry tomatoes (cut in half) and 1T pine nuts in a shallow bowl, and drizzled irizake sauce over. To finish, I sprinkled a pinch of each Maldon sea salt and ground pepper.